For the holiday season-to-date, nearly $32 billion has been spent online, marking a 15-percent increase versus the corresponding days last year. 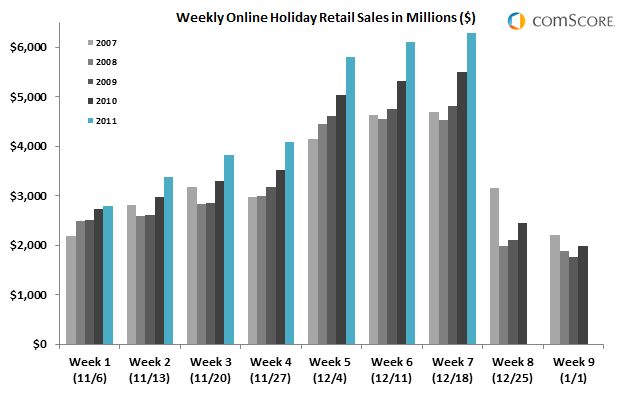 The most recent week (week ending Dec. 18), led by four individual days surpassing $1 billion in sales, reached an all-time record of $6.3 billion in online retail spending, up 14 percent from the corresponding week last year. The final shopping weekend before Christmas reached $1.04 billion to rank as the second heaviest weekend of online spending on record.